Put your passion in your fashion! They provide us with the best fibre known to humankind, so of course knitters love sheep! 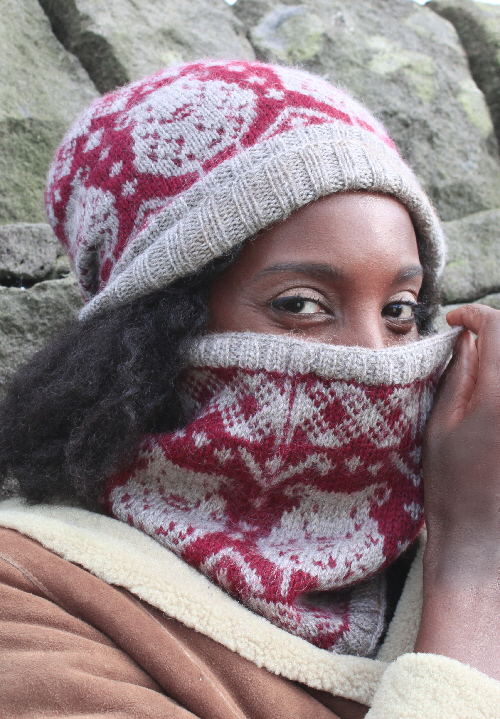 Declare that love with this cosy cowl, designed for woolly comfort in cold weather. Featuring sheep and shepherd’s plaid, it will definitely suit ewe! The Dewlap pattern will be available to purchase for unique download in October. Dewlap is part of the Tup Knits book collection; follow the link to find purchase options. The finished cowl measures 24cm/9½” deep and 53cm/21¼” around. 2 colours of a DK weight yarn with approximately 230 metres/ 252 yards per 100g. You will need 50g of MC and 65g of CC.The pictured cowl was made with Baa Ram Ewe ‘Dovestone DK’ in the Bantam (MC) and Yorkstone (CC) shades. 3.25mm/US 3 and 3.75mm/US 5 needles for medium diameter knitting. Adjust needle size as necessary to achieve specified tension. 27 sts and 29 rounds per 10cm/4″ in blocked stranded colourwork. 27 sts and 34 rounds per 10cm/ 4″ in blocked k2, p2 rib. 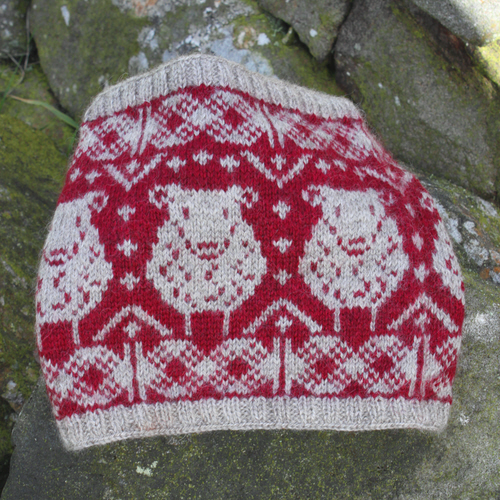 This is the perfect starting point in the Tups range – have a go at knitting the sheep design in a quick and straightforward knit – I loved it!